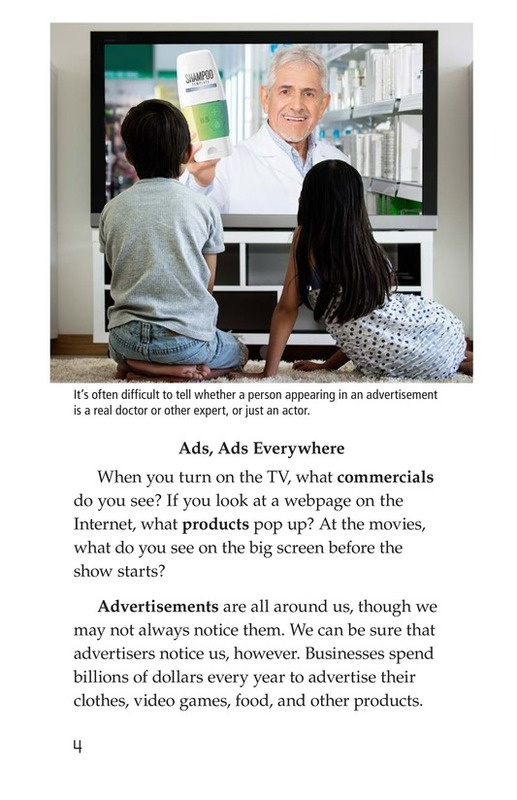 When you turn on the TV or visit a website, what advertisements do you see? 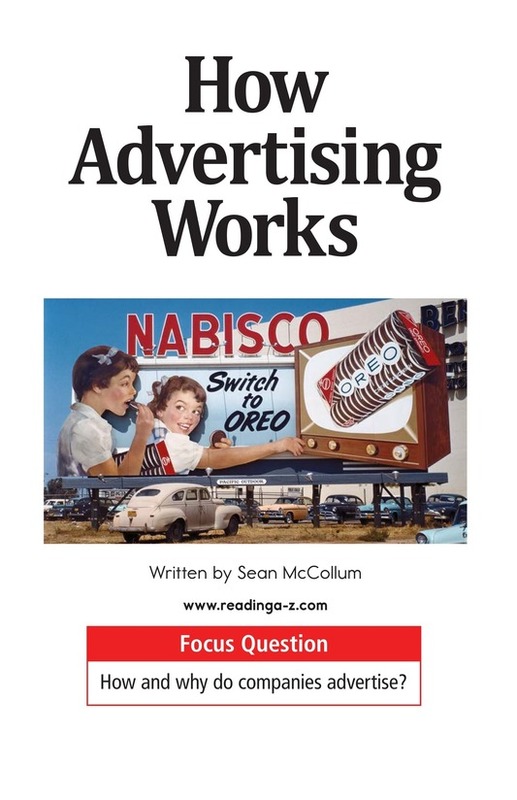 How Advertising Works exposes students to the behind-the-scenes world of advertising. 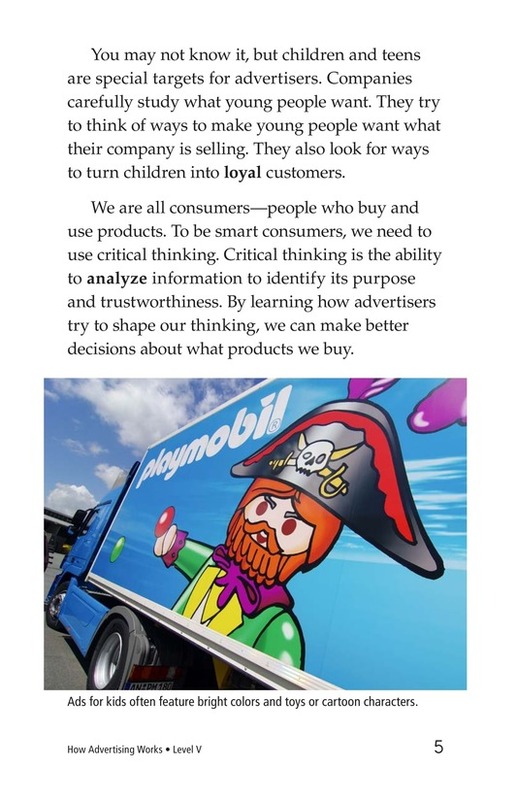 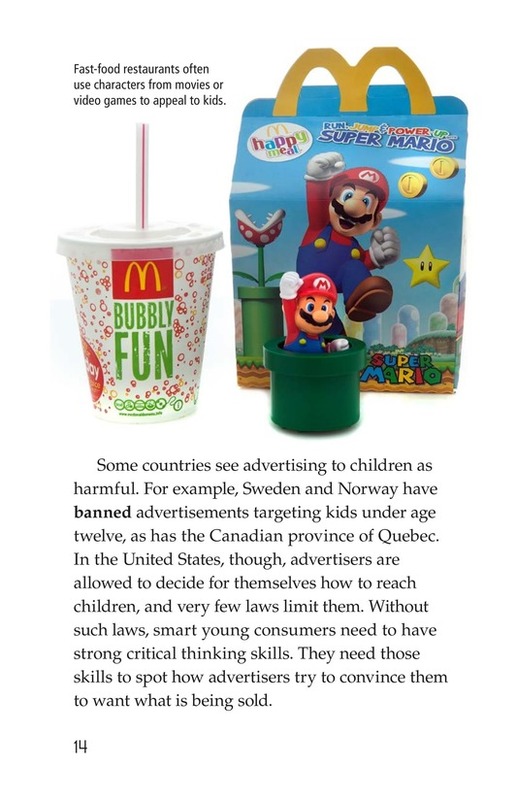 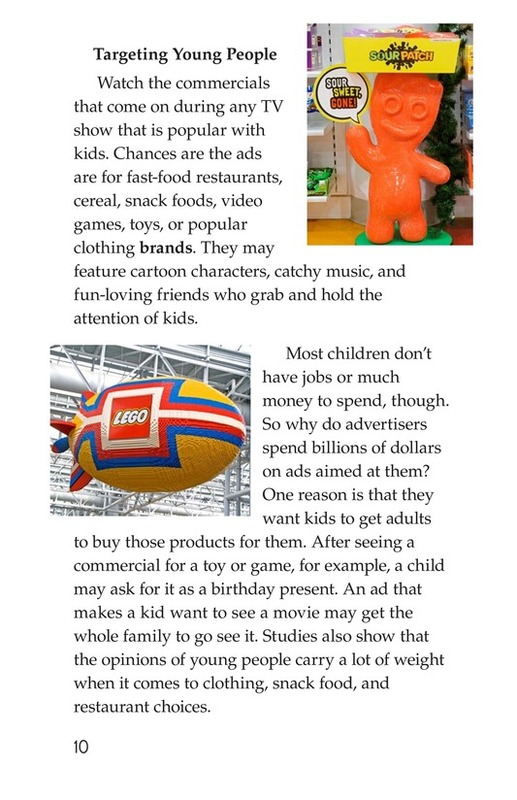 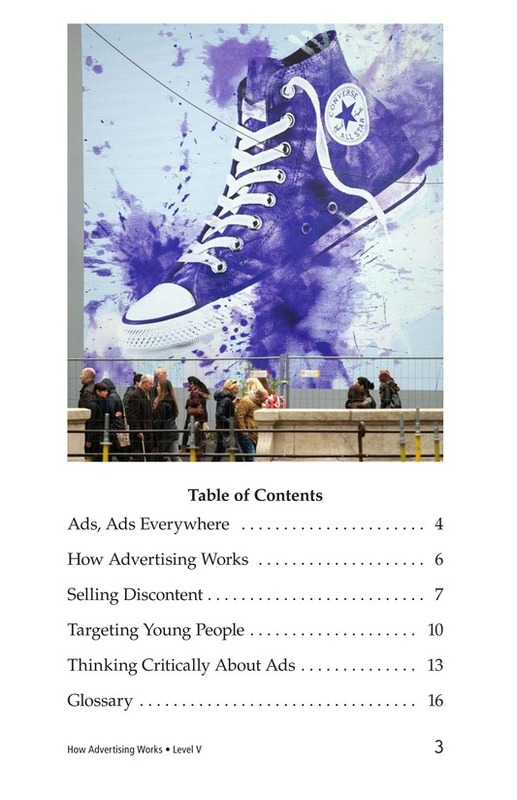 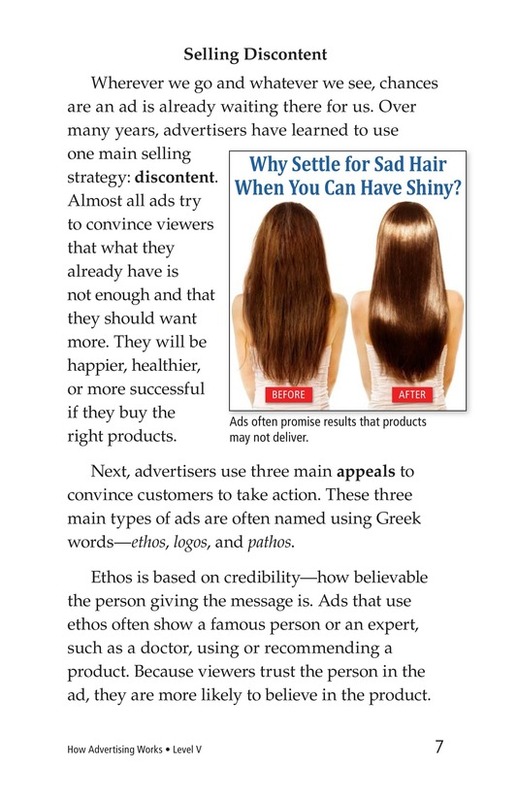 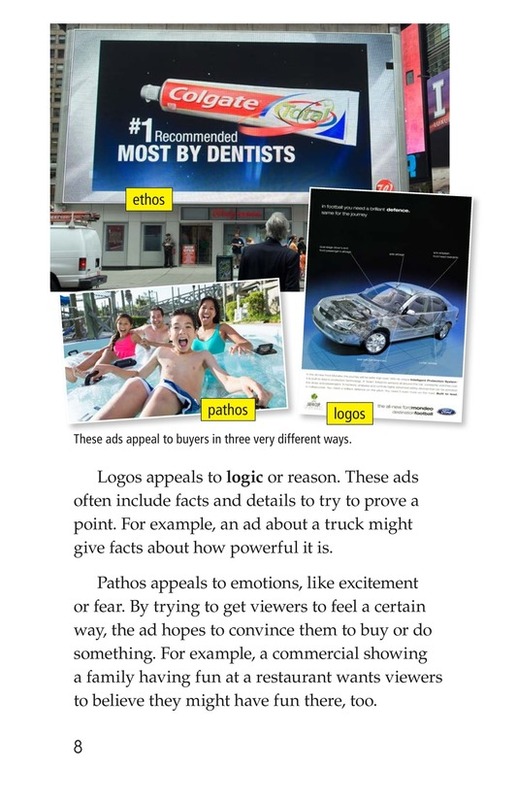 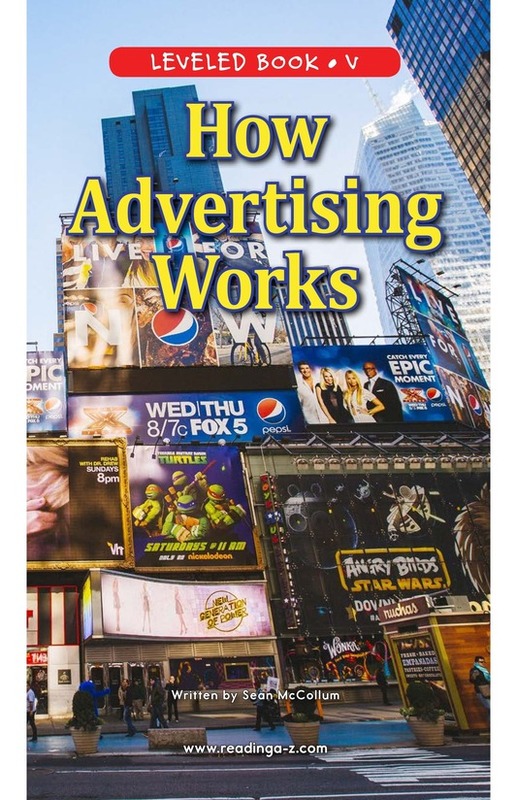 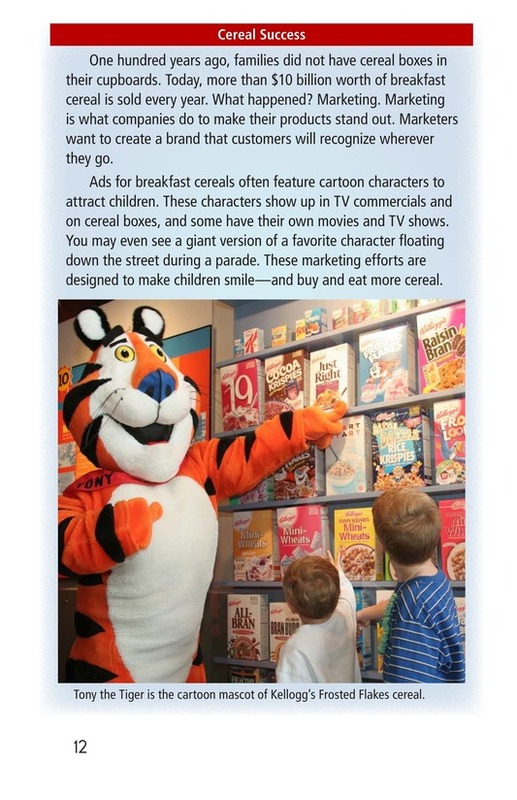 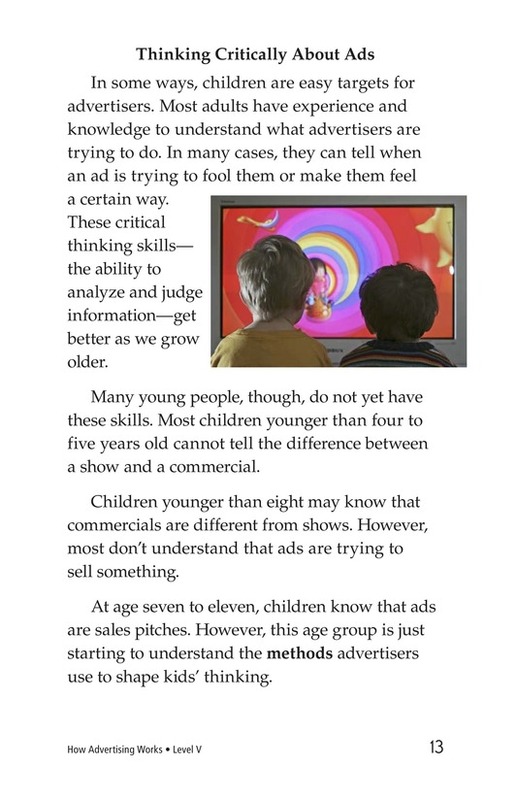 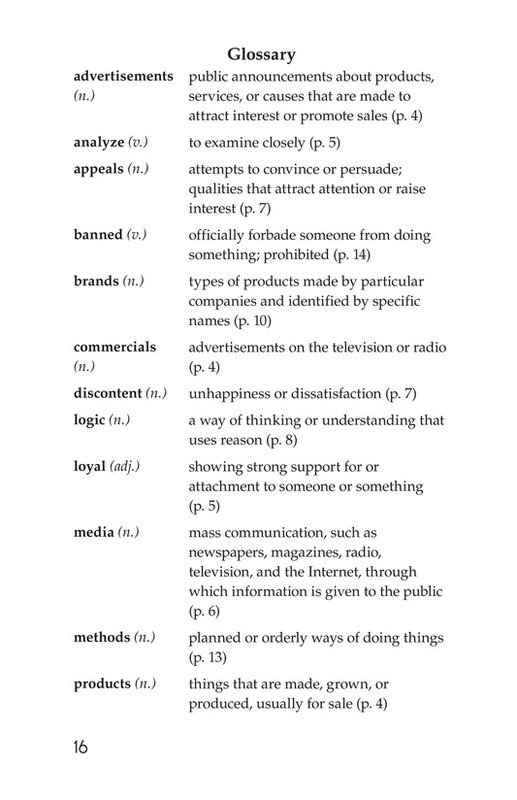 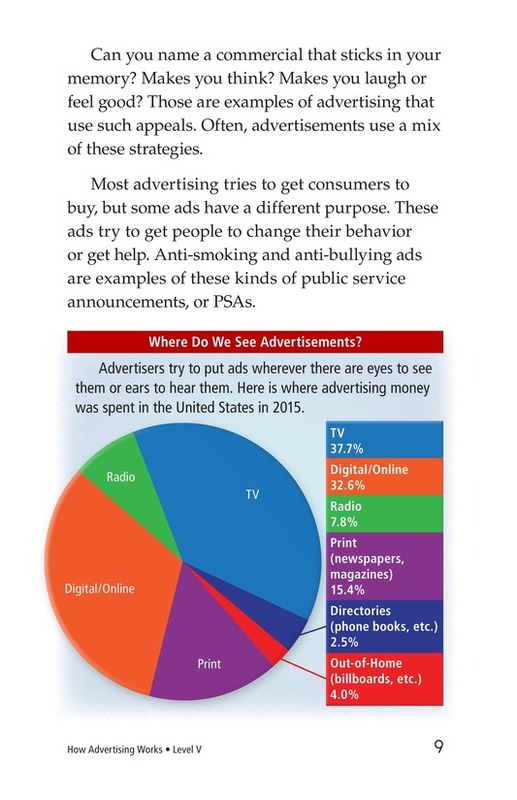 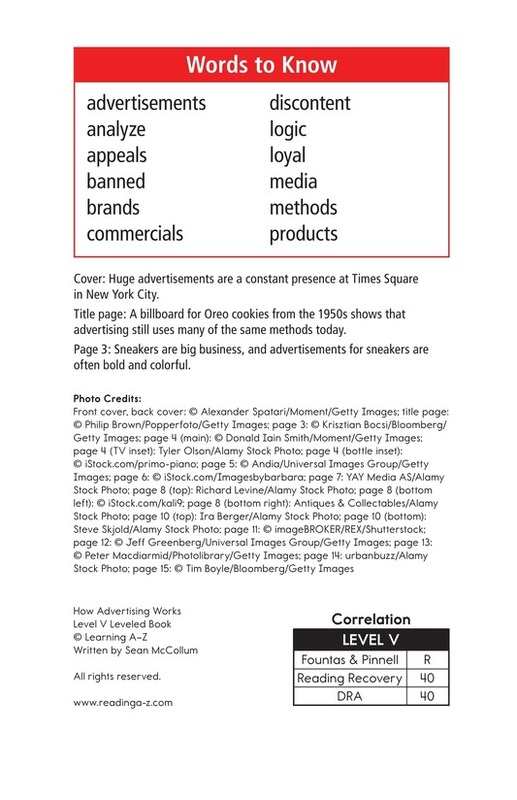 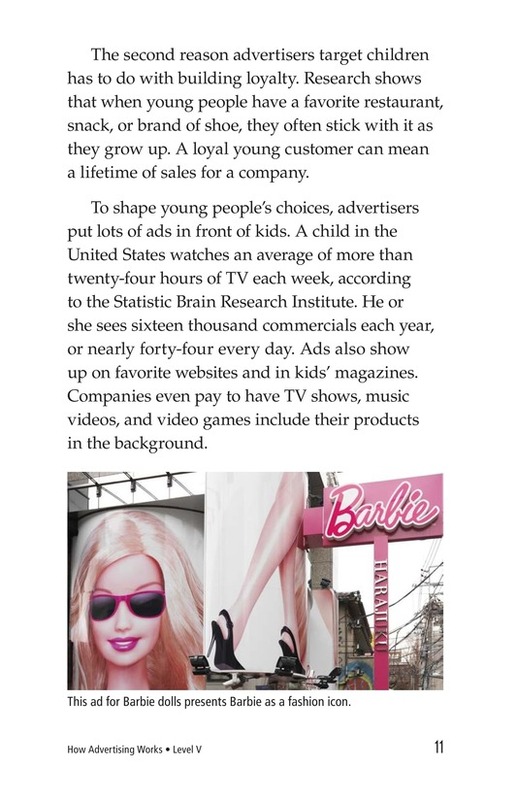 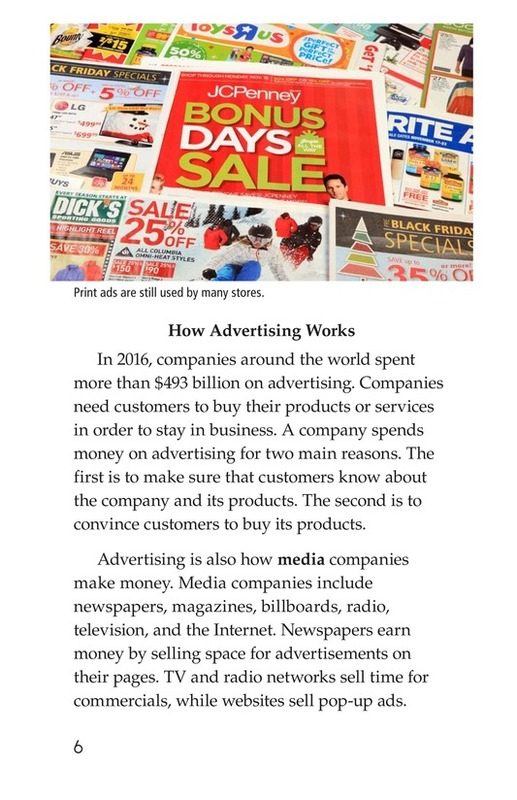 This book explains what advertising is, how it works, and how and why it targets children. 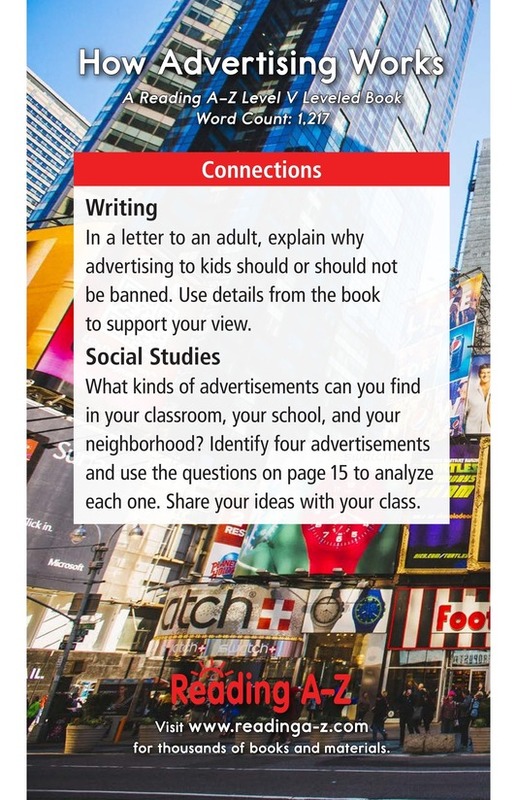 Colorful photographs and an interesting topic will keep students engaged. 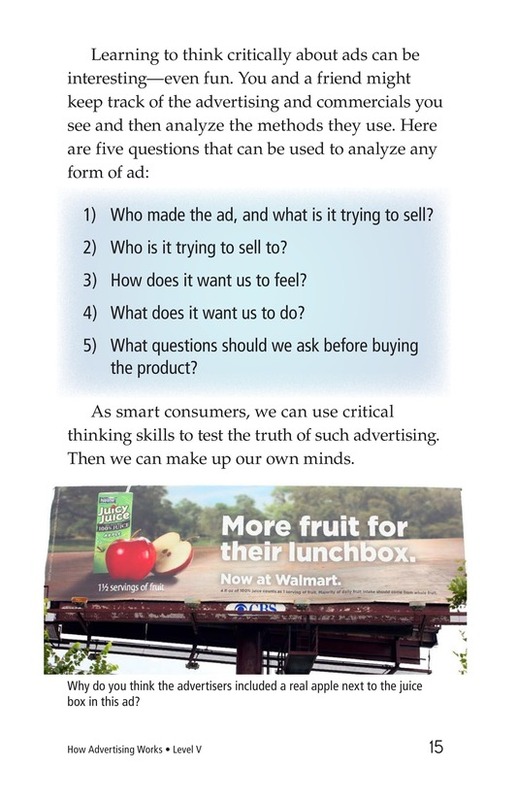 The book can also be used to teach students how to determine cause-and-effect relationships as well as to ask and answer questions to better understand the text.